Poor Larry needs another patella surgery. His kneecap keeps popping in and out of place! Kassie was getting ready to move out on her own. 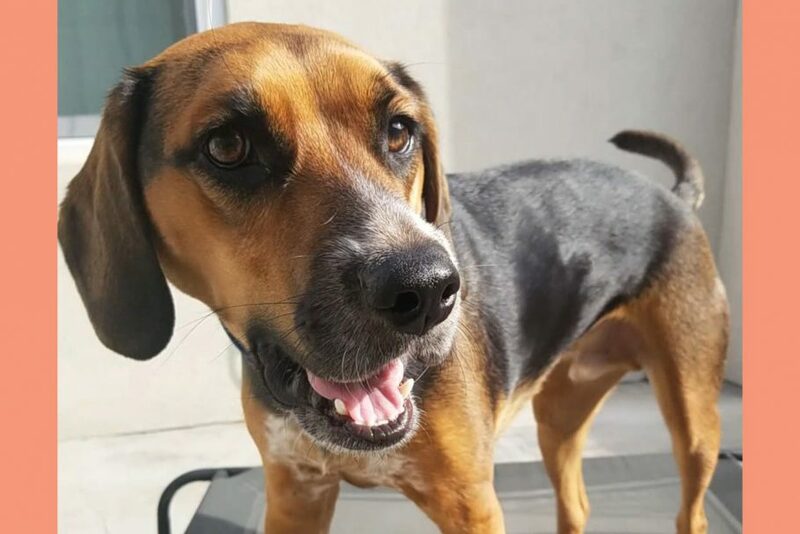 She knew she needed a companion being on her own… so she turned to a shelter. She went to the Friends of Orange County Homeless Pets. Kassie found an ten month old puppy, Larry. Kassie noticed Larry was starting to act weird. He would be playful and then run away. Kassie took Larry to the vet and it took a while to figure out what was wrong with him.Kassie’s vet said Medial Patella Luxation isn’t common in larger dogs. Most dogs who have Medial Patella Luxation are little dogs like, Yorkies. Larry’s kneecap (patella) was coming in and out of place. This is why Larry would be ok and once the patella was out of socket he was run away in pain. Larry had patella surgery June 1st on his right leg. Kassie paid for most of the first surgery. There was a Gofundme for him where Kassie raised about $300. Larry’s right leg is healed and he is doing great. Just recently Larry’s left leg started to act up. 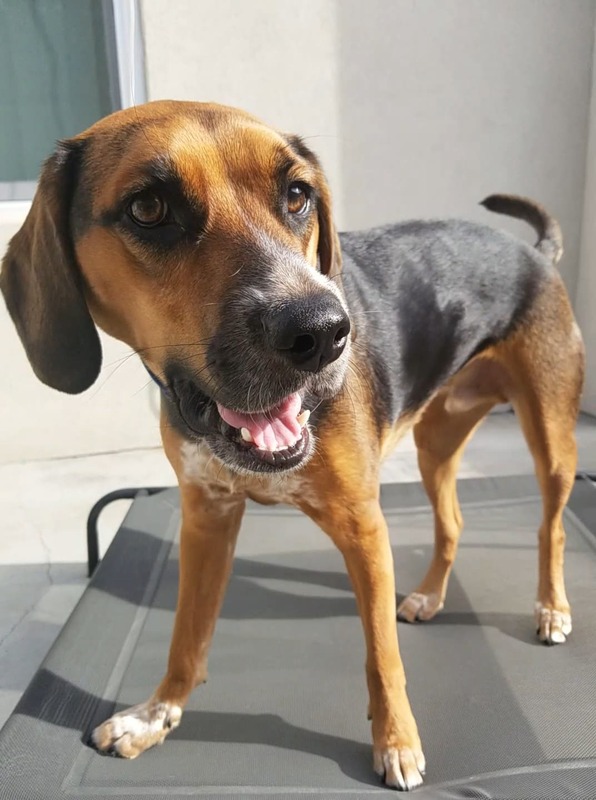 Kassie couldn’t believe that a few months later, Larry’s left leg would need surgery. Surgery isn’t scheduled yet but every day that passes Larry is at risk of tearing his ligaments. Kassie is asking for help. She has given Larry the best life. He means the world to her. 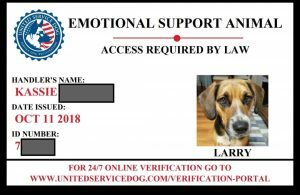 Larry is also a licensed Emotional Support Animal. Love you Kassie and Larry! We love you too!!! You didnt have to! I have your other donation in my savings ready to apply to the bill as well. Thank you so much! And I hope your Katie Bear has a healthy recovery! Larry is the sweetest soul on this Earth. His Auntie loves him! Of course I’ll donate! Love you Kassie! I need to meet Larry one day! Love you Kassie! I n…eed to meet Larry one day! Larry is the sweetes…t soul on this Earth. His Auntie loves him! Of course I’ll donate! Love you Kassie and …Larry! In Oct of 2017 I found out I was finally able to move out on my own. I was very excited but also nervous as I would be living alone. I've always had animals living at every house I've lived at so I decided to get a puppy! 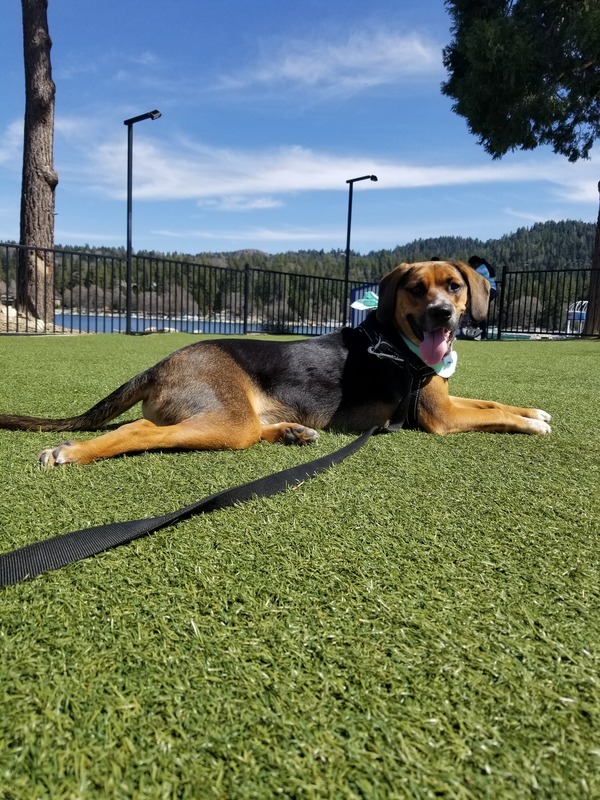 Larry was 10weeks old and came from Arkansas where him and his litter mates where dumped in a construction area. Due to my anxiety of living on my own and dealing with other issues, I was able to make Larry my emotional support animal which helps with my travel and living situation who said he was to big for my apt. In May of this year Larry started to not put any pressure on his back right leg. He would be hoping over to me and would sit in my lap as soon as I got on the floor. Then he was fine. His Vet was shocked to find out that his Knee cap (patella) was being popped out of place and then it would go back in. It's very rare in large dogs and mostly seen in yorky size dogs. We did that surgery on June 1 and everything went well and healed well. Now he is having the same issue in his Left Leg. Because the first surgery was so recent my savings is still wiped out and I have a big loan to pay off. The surgeon is willing to give a discount thankfully, but it's still a huge hit. He needs the surgery as soon as possible as he is at risk for a torn ligament. 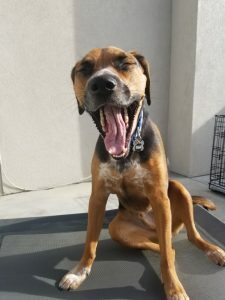 Until his surgery is done he is not able to go to the dog park or be jumping up and down. (Which he is a 1 year old puppy and it's so hard to not allow him to do these things!) I appreciate you guys taking the time to read and appreciate any share or donation. Thank you.